Set of SIXTEEN 12x12 Papers and 90+ elements celebrating the holiday season. Great for both digital scrapbooking and hybrid projects. 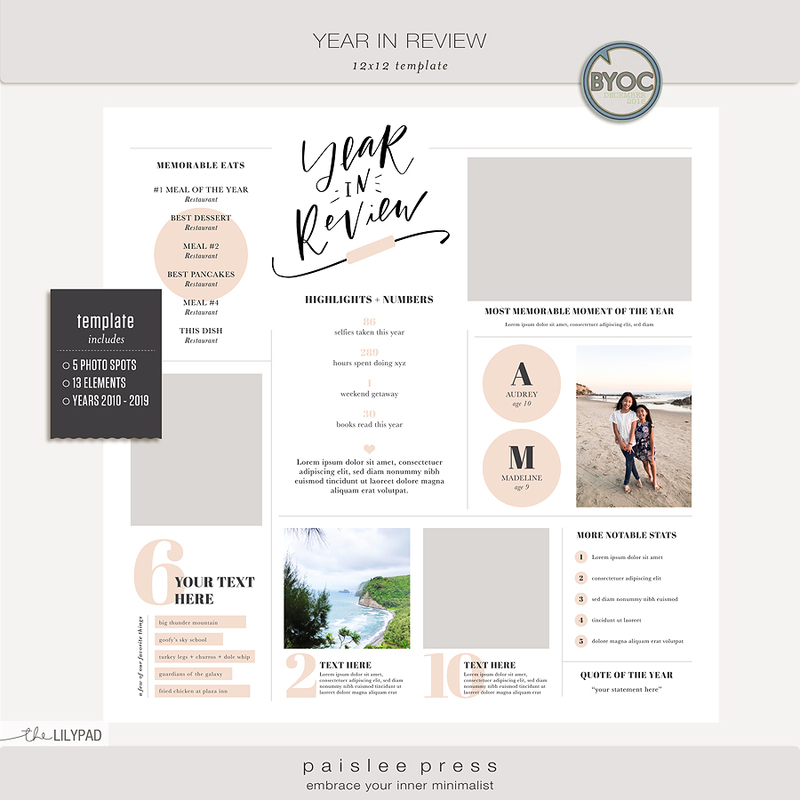 Year in Review 12x12 template is designed to help you summarize/highlight the memorable events of your year. 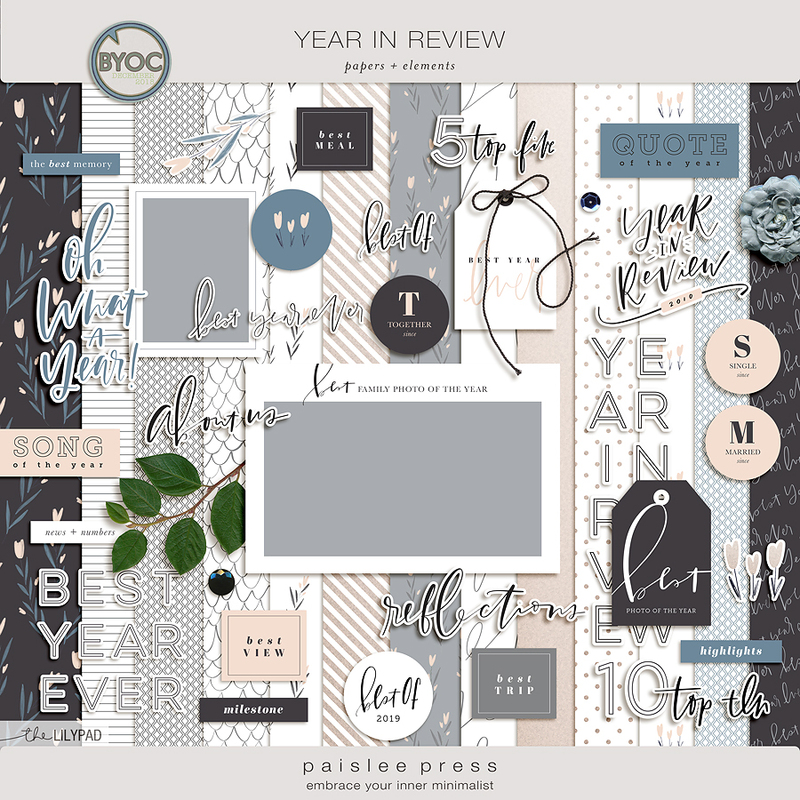 Year in Review is a collection of 3x8 designs featuring open space and crisp white backgrounds, hand drawn wordart - the perfect backdrop to showcase your most cherished photographs of the year. 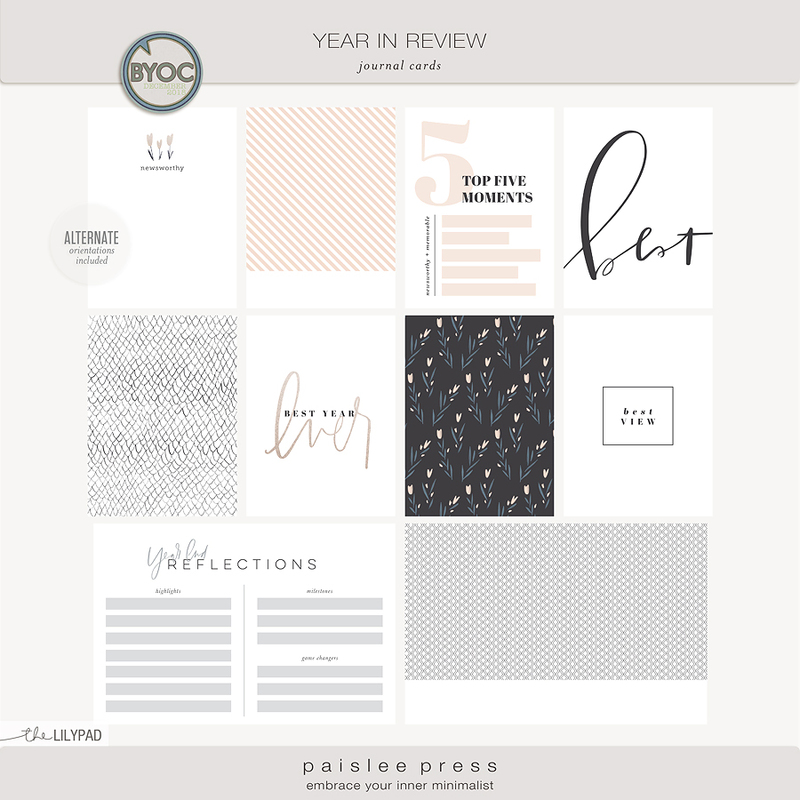 Included in this kit are layered templates, patterned papers and elements that you can mix and match to build a truly unique year-in-review album. 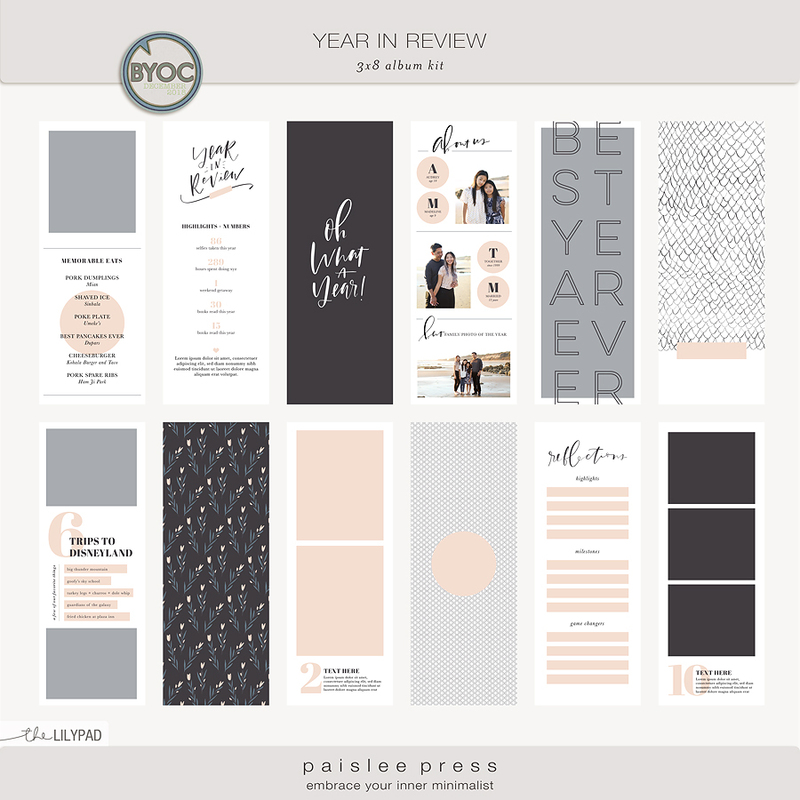 Year in Review themed journal cards are provided as individual JPG files and and as easy to print PDF files - No photoshop required!